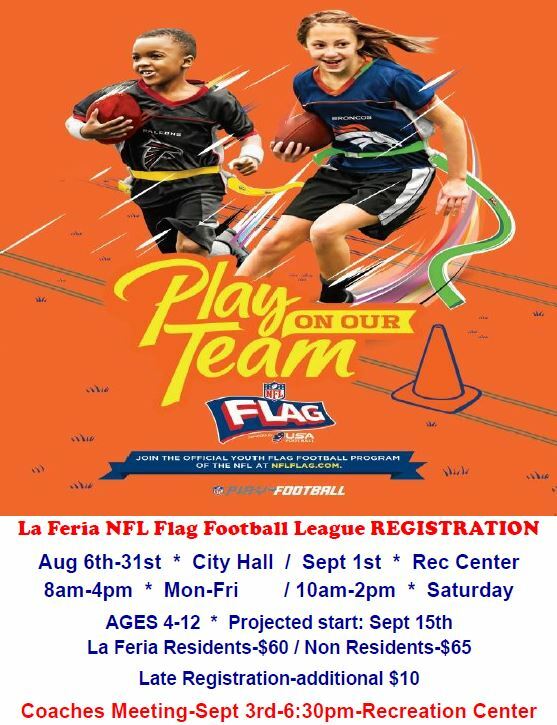 Registration for the 2018 La Feria NFL Flag Football Season begins August 6th! 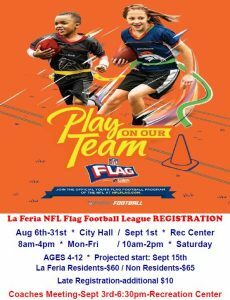 Print out the registration form below and bring into City Hall with your payment or put in the dropbox at City Hall with a check or money order. Coaches Register Now – drop off your registration and background check forms at City Hall!